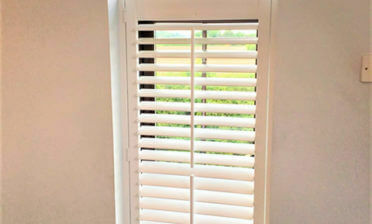 Ben and Jamie were in Tunbridge Wells, Kent to fit these custom shutters for a new client. 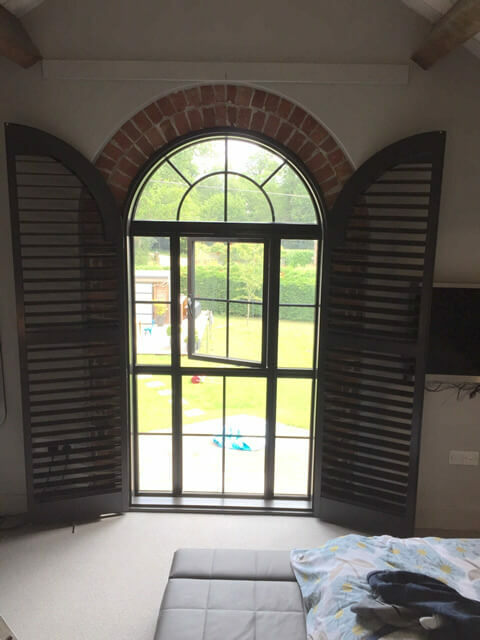 The windows were arch shaped with brick work around the recesses, which was the perfect base for some of our bespoke shutters! 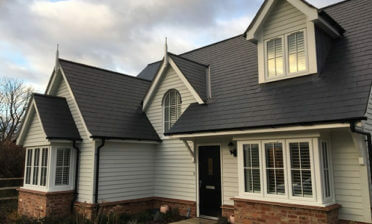 By creating shutters around the exact shape and look of the window we could create the ultimate design for the homeowner which not only looks great, but works exactly how required. 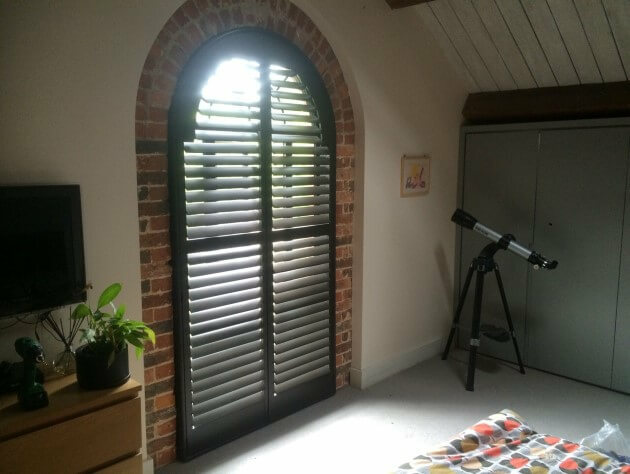 The shutters were created using Larchwood in full height with mid rail, which also required an arch shaped top to fit with the window. 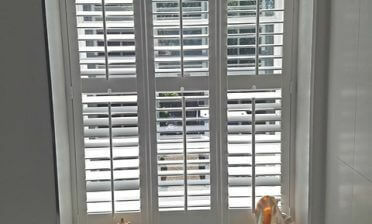 They feature 76mm louvres with a hidden hilt rod system which allows for the client to adjust the shutters through the touch of just one slat. By using this system we are able to create a far more minimalistic look without the need for visible rods on the face of the shutters. 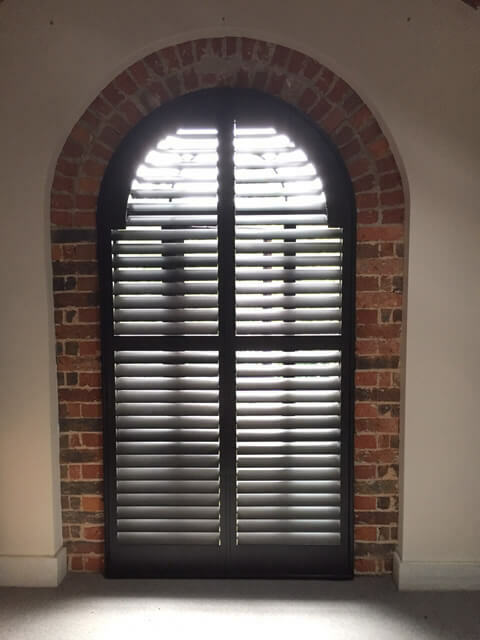 We used a custom coloured black for the shutters and the hinges to really compliment the look of the exposed brick work around the arched window and also the rest of the room. As you can see they look great fully open or closed. Adjusting allows for light to flood into the room and by opening fully the customer can gain full access to the window behind!